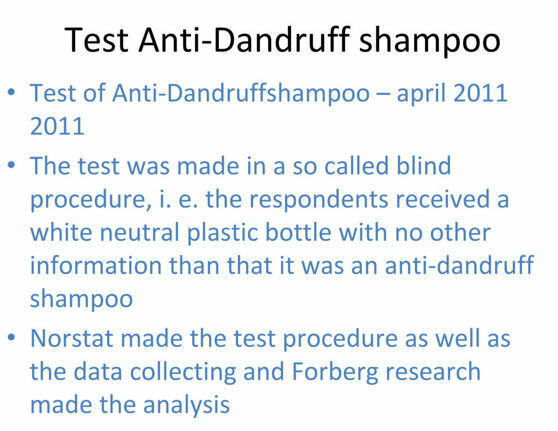 The test results below are judgments from the audit where the test persons reply how they rate the new ”test shampoo” is in comparison to the shampoo treatment they normally use.. 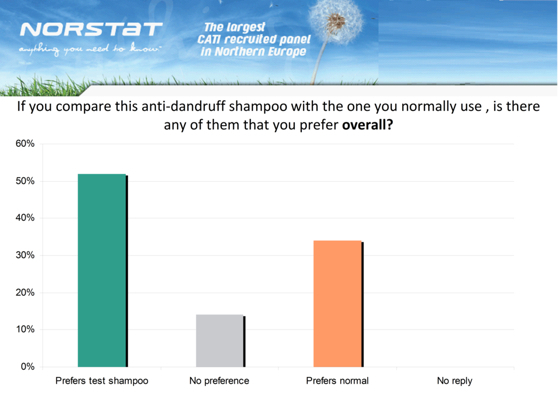 The test results are consistently especially good for the tested shampoo! 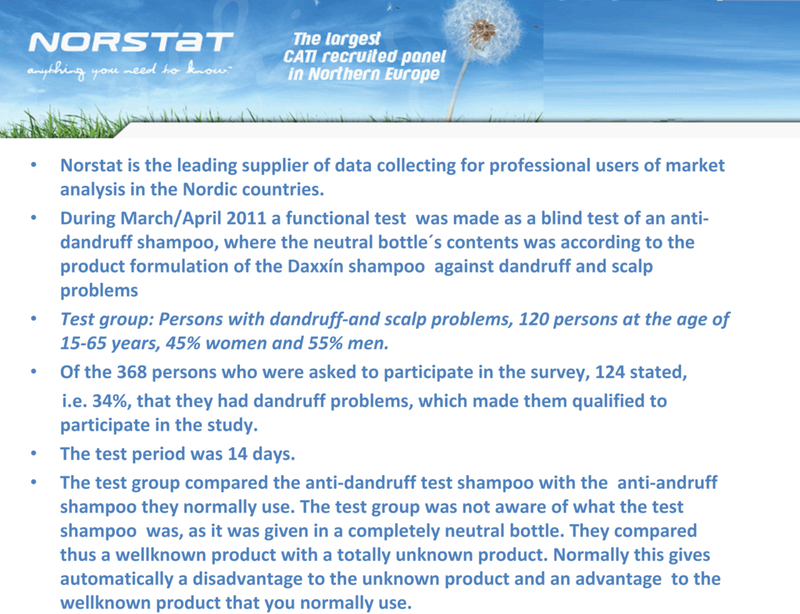 A functional test has been carried though on the product formulation for the Daxxín shampoo in a so called blind test in March 2011 where the respondents(test persons) did not know what brand or product they have been testing. 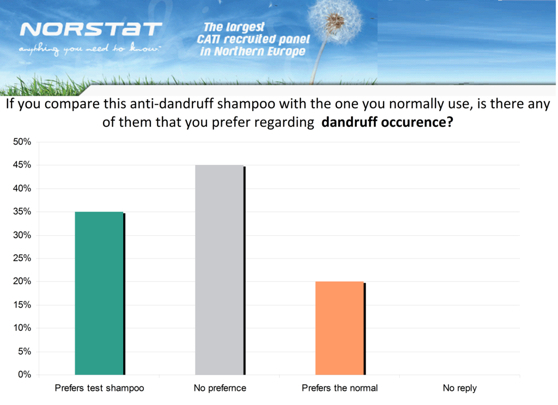 The test population as 120 persons (55% men and 45% women) who had problems with dandruff and irritated scalp. 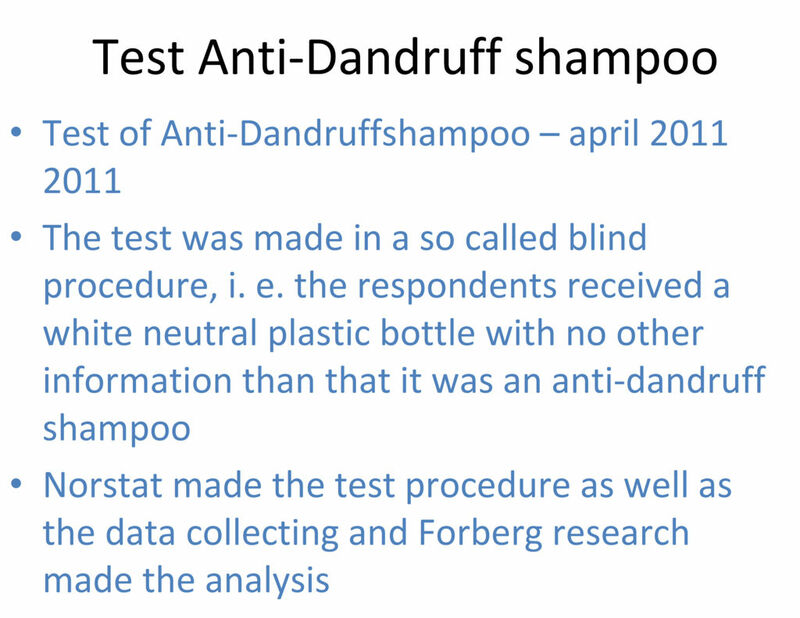 The test period was 14 days. Thereafter should the tested product be evaluated and compared with the test person´s normal product. The testing organization was NORSTAT Sverige AB who are the biggest organization for collecting test data within the Nordic region. 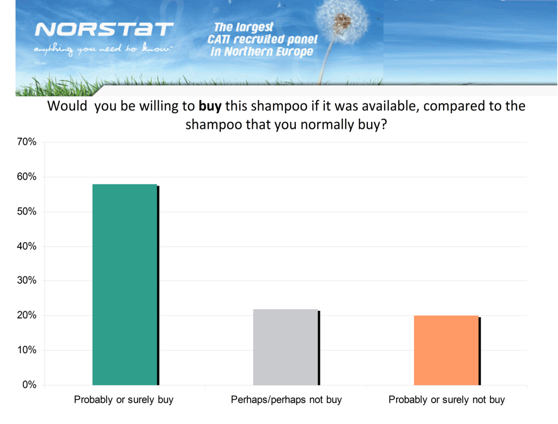 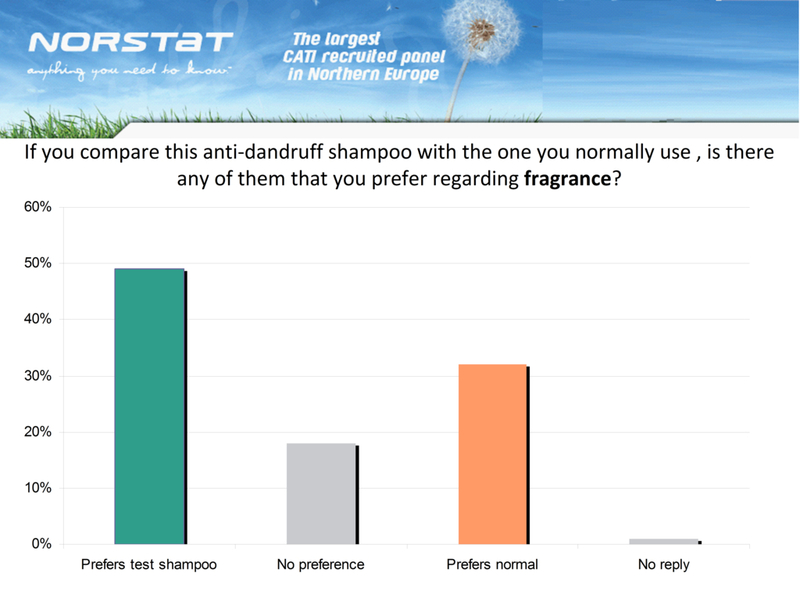 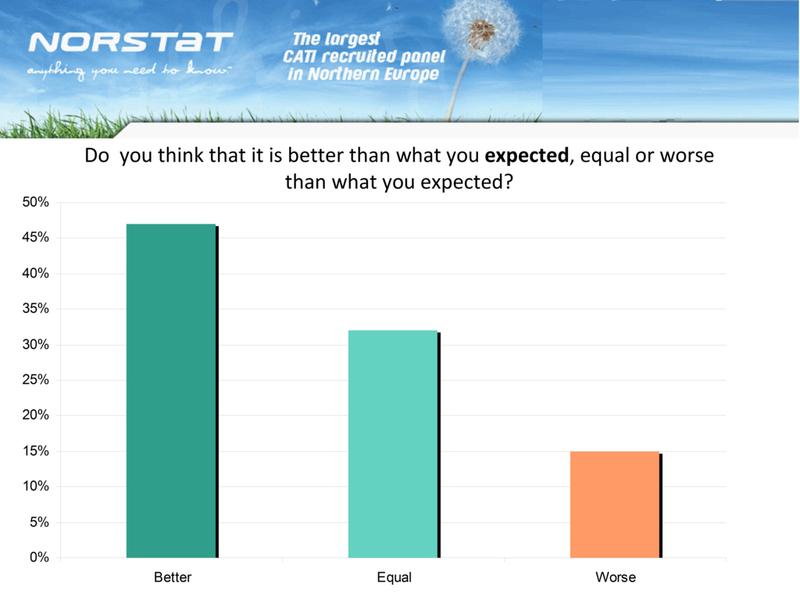 The test results show concurrently that the test shampoo is proved efficient and better than the products the respondents normally use on all parameters. 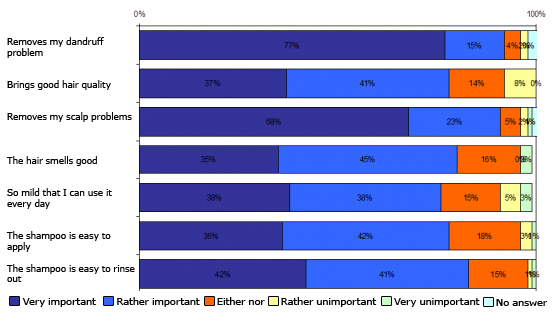 Below you will find a conclusion. 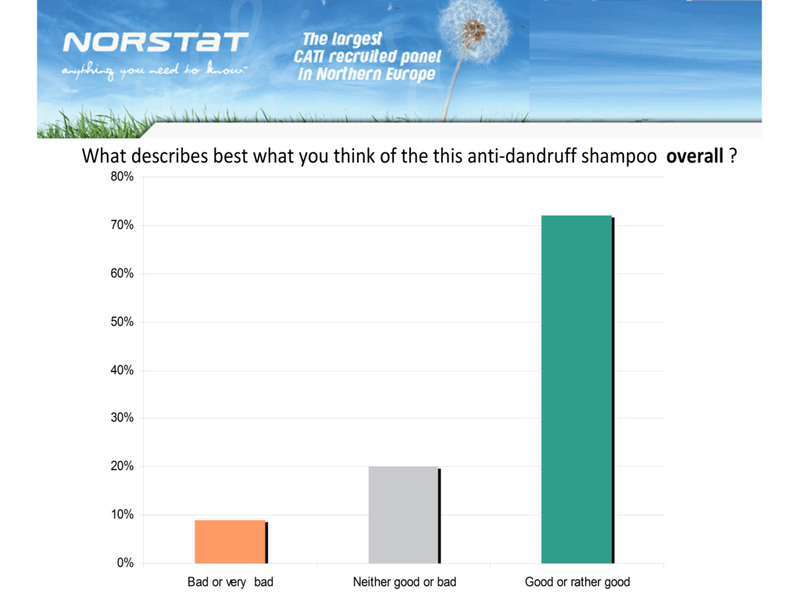 What is important when choosing an anti-dandruff treatment shampoo? Answer: On all the parameters above Daxxin is fulfilling the needs. Answer: On all the parameters above there is nothing that speaks against the qualities of Daxxín. 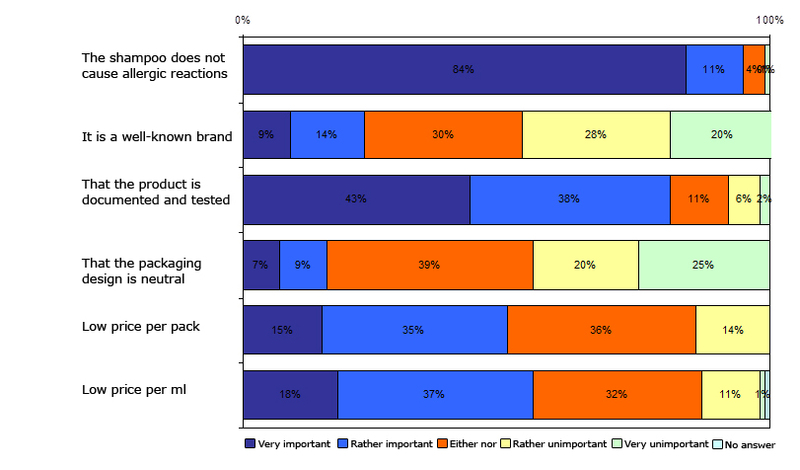 Below the test results are presented in swedish graphics. 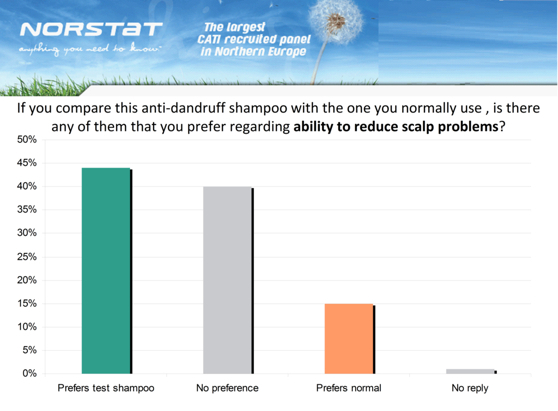 When you choose anti-dandruff shampoo, how important are the following aspects for you? The excellent qualities of the test shampoo are based on a combination of a well balanced dosage and the highest demands on top quality raw material and ingredients in a unique and balanced composition.